What to do with that lis pendens? What to do with that lis pendens is a question we are often asked. 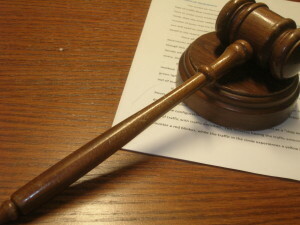 In Latin, the term “lis pendens” means “pending lawsuit.” Today, a notice of a pending lawsuit filed and properly recorded in the county real estate records is referred to as a “lis pendens.” The purpose of a lis pendens is to provide notice of a claim or controversy involving specific real estate to potential buyers and lenders as well as the general public. A lis pendens can certainly create problems with any real estate transaction. We recently worked on a case that illustrates some of the issues often confronted in the face of a lis pendens. In Garcia v. Nobe Bay Holdings, LLC, we represented the Defendant developer. The Defendant developer had purchased the uncompleted Miami Beach condo project after the entry of a foreclosure judgment against the original developer. The new developer had assumed many of the existing sales contracts. Mr. Garcia was one of those original contract purchasers at the Miami Beach condo project. Mr. Garcia, however, had never recorded his sales contract. 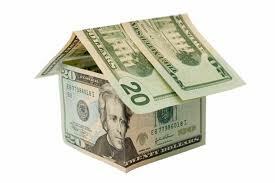 Mr. Garcia had also failed to tender the second deposit required of him pursuant to the sales contract. The subsequent developer finished the building and called all of its purchasers to closing. Over 95 contract purchasers were waiting to close. But the closings for those 95 parties had to wait. They had to wait because a title examination revealed that Mr. Garcia had not only filed a lawsuit, but he also filed a lis pendens against the whole building. The lis pendens on the whole building effectively served to stop cold all potential closings in the building for all of the other 90 contract purchasers. Fortunately we were able to convince Mr. Garcia immediately amend his lis pendens to limit its reach solely to the unit he contracted to purchase as opposed to the whole building. 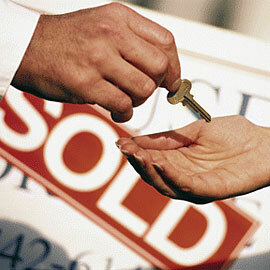 In so doing, we were able to get all of the other contract purchasers to close on their units. Nonetheless, Mr. Garcia asserted a claim for specific performance, breach of contract and an equitable lien. Mr. Garcia later agreed to limit his claims to breach of contract and agreed to drop his claim for specific performance. The trial court denied our request to dissolve the lis pendens. As a result, an appeal was not only taken, but a bond was posted to permit the closings to take place on Mr. Garcia’s unit to another purchaser. On appeal, the appellate court agreed with the position we took at the trial level and reversed the trial court’s ruling. The appellate court directed the trial court to discharge the lis pendens and discharge the bond. The appellate court also ordered the trial court to award attorney fees in favor of the new developer and against Mr. Garcia. In so ruling, the appellate court reasoned that Mr. Garcia’s lis pendens was improper. It was improper because Mr. Garcia had failed to establish a fair nexus between the apparent legal or equitable ownership of the property and the dispute embodied in the lawsuit. The appellate court noted that the only existing document between the parties was the cancelled purchase agreement and that agreement did not establish the necessary fair nexus to sustain the lis pendens. Furthermore, the appellate court noted that when Mr. Garcia dropped his claim for specific performance his lis pendens was further eroded. Indeed, when Mr. Garcia dropped his specific performance claim he destroyed any possible nexus between ownership of the property and the complaint. Lastly, the appellate court not only noted that the contract affirms that Mr. Garcia had no direct claim against the subject property, but further noted that the new developer should not have had to post a bond. The appellate court’s ruling proved to be a true success for the developer. In the final analysis, and as part of any real estate closing, it is critical to perform a thorough title examination prior to the purchase of a property, and even prior to placing an offer on a property. The lis pendens, and the underlying lawsuit that resulted in the filing of the lis pendens, could dramatically impact your rights to the property.